A visit by North Korean leader Kim Jong-un to Seoul within the year looks unlikely, but later dates including January remain possible, a high-level official with South Korea’s presidential office said Wednesday. The comment follows local news reports that the presidential office has effectively ruled out the possibility of North Korean leader Kim visiting Seoul within the year. A number of local news outlets had reported that Cheong Wa Dae ruled out the possibility, citing unnamed presidential officials. According to related reports, the presidential office came to the conclusion based on the time required to prepare for the visit and North Korea’s calendar of political events. According to South Korean officials, preparations for hosting Kim in Seoul would take between a week and 10 days. As for North Korean events, the regime is currently in the process of conducting an annual assessment of government operations and preparing for the seventh anniversary of Kim Jong-il’s death. Kim Jong-il, father of the current leader, died on Dec. 17, 2011. Related reports also claimed that Cheong Wa Dae is now assessing whether the visit will take place before or after the second US-North Korea summit. 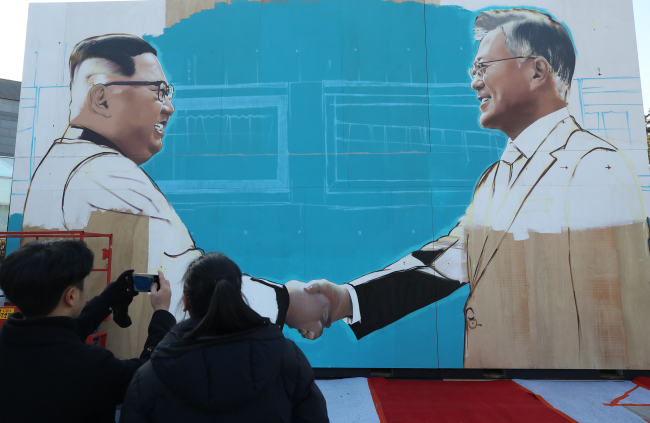 Until recently, however, Seoul’s presidential office had stated that all possibilities regarding Kim’s visit were open, including a visit within the year. During his trip to Argentina and New Zealand, President Moon Jae-in stated that Kim’s visit within the year was still possible, and that he and Trump agreed that the visit would be a positive step in the denuclearization process. Kim’s visit to Seoul was officially agreed to during his meeting with Moon in Pyongyang in September, with a related clause being included in the Pyongyang Declaration. The declaration stated that Kim would visit Seoul “in the near future,” and Moon had explained that the phrase means within the year unless prevented by unforeseen circumstances. However, the North has remained silent on the issue, sparking speculations in the South Korean media. According to local news reports, difficulties in US-North Korea talks as well as North Korea’s internal issues, including concerns over Kim’s security in Seoul, are causing delays in Pyongyang.